Lauriston receives Endorsed Plans from Stonnington Council and awaits Building Permit. Lauriston receives a Building Permit and construction can commence. The first project will be Stage 1: the construction of an underground carpark on Huntingtower Road. SJ Higgins erects hoardings around the school. Parents will be using the new turning circle situated in our school grounds on the corner of Malvern Road and Mercer Road. Parents are requested to enter Mercer Road from High Street and exit the turning circle onto Malvern Road. We will have a traffic warden to assist parents with entry and exit of the turning circle. Architects, Richard Stafford and Caroline Cummins from DesignInc explain their vision for the new buildings at Lauriston. They have created distinct precincts in the master plan using the old and new structures of the school. The new carpark will allow Lauriston’s teachers, staff and visitors to park on site. It will eliminate the need for people to park in neighbouring streets. The one-level car park sits discreetly underground on the northwest corner of the Huntingtower campus (under the existing oval) and offers 143 parking spots including disabled parks. The entrance is on Huntingtower Road. The facility will be built in the initial phase of the development to ensure additional carparks are available from the outset of the works. Once completed, the oval grass is replaced, new trees planted and a tennis court installed on top. 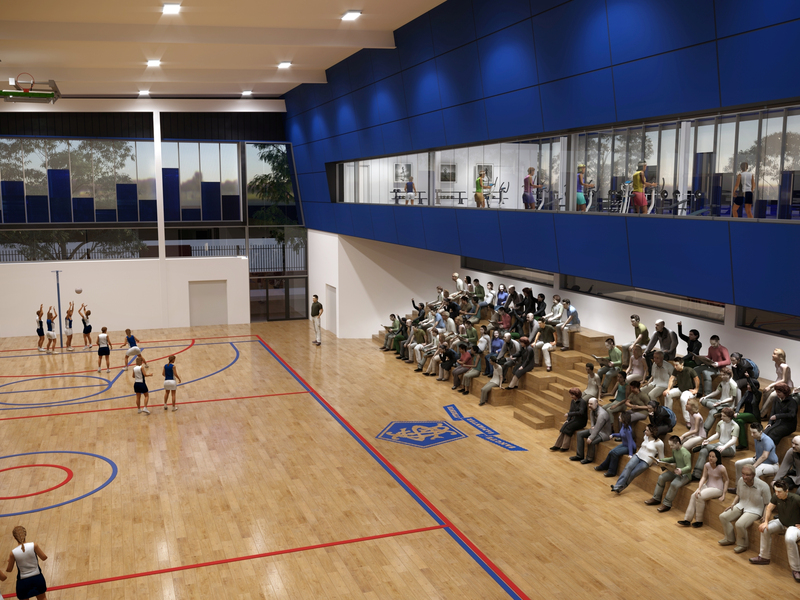 The existing gymnasium is too small to accommodate the comprehensive sport program offered at Lauriston. A new facility will reduce the amount of off-campus training and is located next to the existing swimming pool, creating a dedicated area for sport and health within the grounds of Lauriston. Greater access to sporting facilities stimulates strong foundations for ongoing involvement in physical activity and removes barriers for teenage girls to drop out of sport. The ground floor features two full-size basketball and netball courts which can also be used for other sports such as badminton and volleyball. There is stadium seating for carnival and inter-school matches, so the School can host finals matches and offer the space to the broader community. Sport and wellbeing teachers have dedicated offices, and the extra change rooms allow more people to use the facility. An addition of a small learn-to-swim pool is for young or inexperienced swimmers. The first floor has a cardio room so students can undertake pre-season development and strengthening. A weights area helps to personalise the program according to body type and skill level. A yoga and meditation space allows students to explore the power of mindful practice. The addition of equipment storage allows the school to offer more choice of sports. The Junior School is run across two sites with the younger years (Prep-Year 2) located at Blairholme on Malvern Road. These girls are brought to the main campus to access the library, pool, refectory and main hall. Consolidating the Junior School into the one area will allow all the girls to be together. For the older girls, it will provide opportunities to show leadership and take on mentoring roles. For the young girls being close to their older peers will develop a greater sense of belonging. Teachers can explore a number of differentiated learning techniques in the spaces and attend to students indiviual needs. Year 5 and 6 centre has flexible working spaces over two levels with high ceilings and natural light within the repurposed gymnasium. Each floor has generously sized classrooms, a common space where girls can come together as well as quiet areas where students can read or reflect on their learning. Two purpose-built Prep classrooms are situated next to the Year 5 and 6 centre with easy access to the outdoor play area. The adventure playground is a fun and varied space that includes a range of equipment to foster creative and active play. A new consolidated approach to the Early Learning program is consistent with Lauriston’s strategy for the Junior and Senior School. The children and families can move seamlessly from babies to 4- year-old kindergarten benefiting from the Reggio Emilia inspired program and an extensive play and wonder area. A refurbished and extended Blairholme house that is set back from back from Murray Street and refurbished with new kitchens, bathrooms and carpet. The design is in keeping with the existing streetscape and includes natural, muted colour palettes of external materials. The centre features a far-reaching natural outdoor play area which retains the estalished camphor laurel tree. 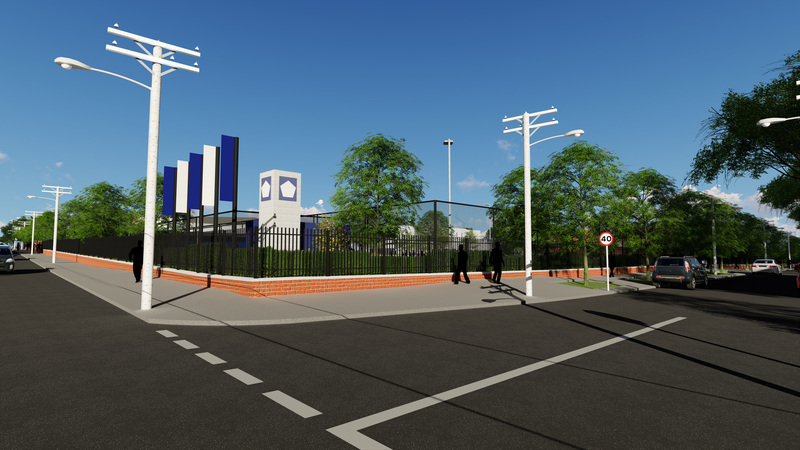 The first project will be the construction of an underground carpark, which will be situated on Huntingtower Road. Our construction company, SJ Higgins, has erected hoardings and demolition work will commence from February 4. The early completion of the underground car park will ensure safe and reliable onsite parking for visitors, parents and staff throughout the subsequent stages of construction and into the future. Have many stages are there? When will it all be finished? There are eight stages outlined in the Strategic Framework which will deliver the four precincts within five years. Some stages will overlap, and some will be sequential. At all times the safety of our students, staff and visitors is paramount, and each stage of work will be quarantined from school activities to ensure the continuity and quality of education programs are not affected. How will construction noise, traffic and hours of work be managed? The staged construction program is undertaken in accordance with Stonnington Council requirements and an approved construction management plan. Every effort will be made to minimise disruption to our school community and neighbours, and regular updates will feature in the School’s website and newsletter. The main areas of construction activity are relatively confined, so potential noise impacts on classroom activities are minimised. What happens to the existing sports fields and green spaces at Huntingtower Road campus? The existing recreation areas and open spaces are retained. The top of the underground car park will include four new sports courts with one constructed in the first stage. The existing sports field on Mercer Road will be unaffected, but the sports courts are to be replaced with the Junior School nature play area. The existing garden play areas in front of Montrose House and the Years 7 and 8 Centre on Mercer Road are retained. 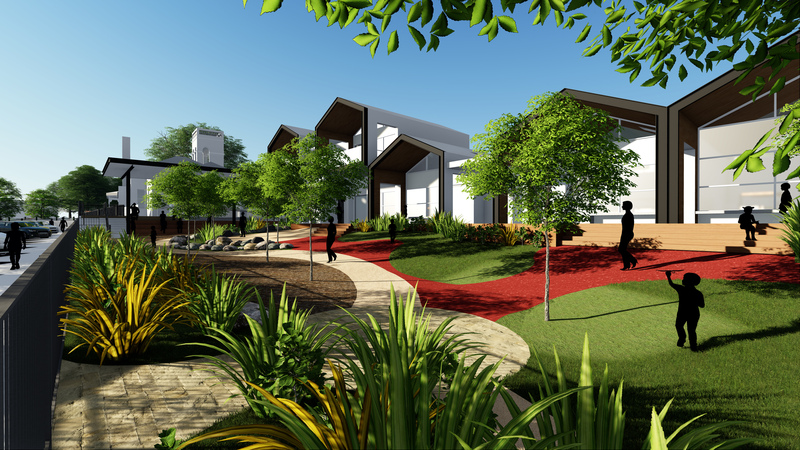 Comprehensive landscaping will add to and extend the School’s high-quality garden setting. Where trees are removed, semi-mature replacement species will be re-planted and nurtured. What happens to the existing green spaces at Blairholme? 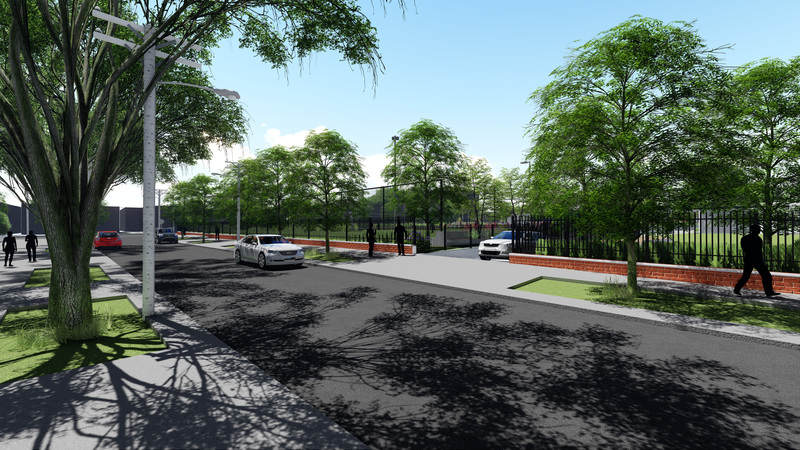 The existing open setting and mature trees in the front of Blairholme are retained and new landscaped play areas will be constructed along Murray Street. What happens to the existing car parking and pick-up and drop-off arrangements at the Huntingtower Road campus? Our Early Learning, Kindergarten and Junior School parents will be using the new turning circle situated in our school grounds on the corner of Malvern Road and Mercer Road. We will request our parents to enter Mercer Road from High Street and exit the turning circle onto Malvern Road. We will have a traffic warden to assist parents with entry and exit of the turning circle. Will there be an increase in the number of students at Lauriston? There will be no increase in the Stonnington Council approved number of students (1110) across the Huntingtower & Blairholme campuses. 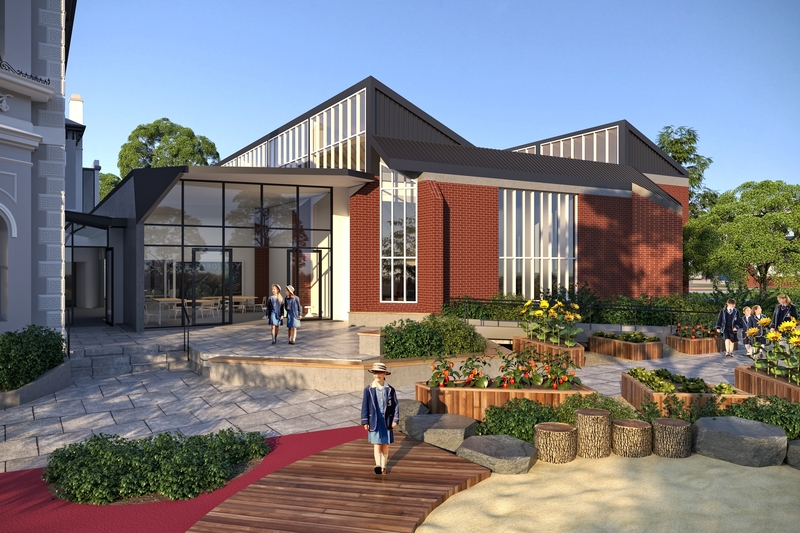 However, the new ELC at Blairholme will accommodate an increased number of places compared with the existing student numbers in the Prep to Year 2 classes (i.e. from 91 up to 182 places) but the Huntingtower Campus will have less students when the ELC students move to Blairholme. Will there be an increase in the number of staff at Lauriston? The ELC at Blairholme will require a few additional staff resources; however, staff numbers will generally remain within the existing range of full-time equivalent places across the Huntingtower and Blairholme campuses. How can we contribute to the It's Her Turn campaign? 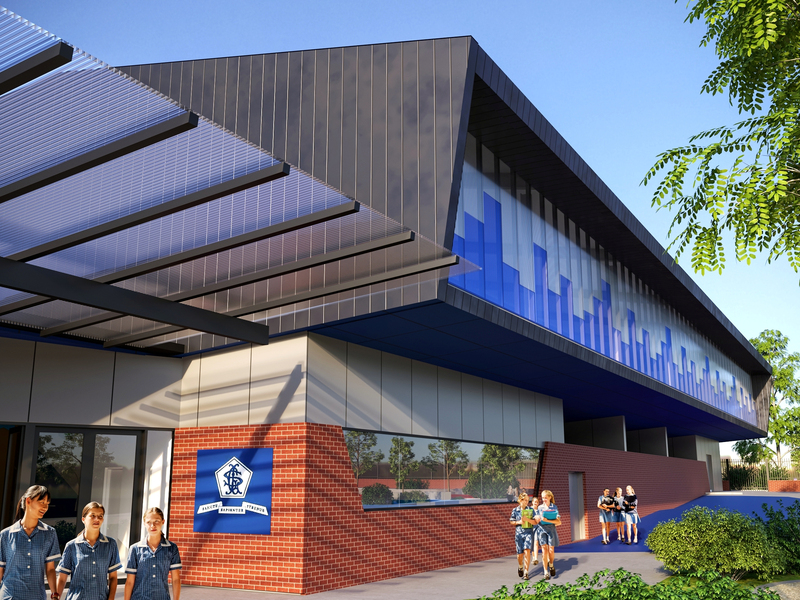 The new facilities and precinct design is the result of years of planning and consultation. To be in a position to build the gymnasium and new classes, the School has prudently managed its finances. To further enhance the development, we need the support of our community. The advancement team have created the It’s Her Turn Campaign. 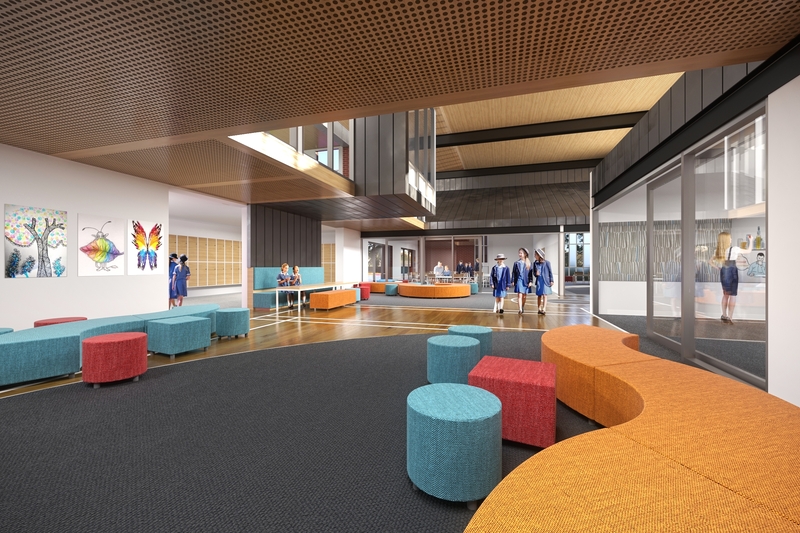 The School seeks to raise supplementary funds to ensure the planned facilities have high-quality finishes, forward-looking technology and sustainable features. Principal Susan Just and Chair, School Council Rick Ball outline the vision and philosophy behind the It’s Her Turn campaign in this short video. For more information, contact the Director of Advancement, Marina Johnson 9864 7582 or johnsonma@lauriston.vic.edu.au.